Urban Paving is a one-stop shop for all paving and landscaping needs. We have an extensive range of both concrete and natural stone paving as well as a great selection of landscaping supplies. 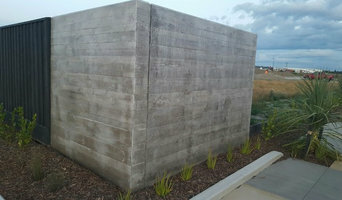 We also manufacture custom concrete pieces allowing us to cater to every need. Our concrete pavers are made onsite from quality raw materials and our natural stone paving is imported from the highest quality controlled quarries in China and India. We love helping our customers find the right paving and landscaping solutions for their unique space and go out of our way tp provide excellent service and results. 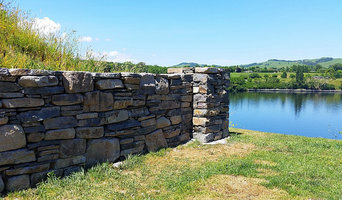 Highland Stone is a stone masonry business based in the Waikato building one of a kind master pieces from stunning stone walls to beautiful fireplaces out of natural stone. We use a wide variety of stone which includes limestone, basalt, andisite and graywacke and also source over 10 different types of schist from South Island quarries. Highland Stone can help design your project to ensure that you get the best quality and craftsmanship. Wellington Stonemasons provide a professional, reliable, honest service completing work to a high quality standard and pride themselves on going the extra mile to ensure customer satisfaction. We provide a wide range of stonework tailored to the residential market and the individual customer requirements. From its base in St Johns (opp. 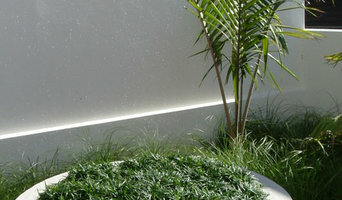 Sunhill Garden Centre) Stone Direct has been Auckland’s leading supplier of a variaety of stone products since 1998. Stone Direct supplies stone slabs, pavers, pool copings for exterior landscaping projects, feature rocks and water features to enhance a landscape, stone masonry and consulting. Beautiful tradesman’s tools are also for sale at Stone Direct. Celtic Stonework - was established and is run by Taffy (Paul Williams) Taffy is from the South Wales valleys where at the age of 15 years old entered into a agreement to serve a bona-fide apprenticeship on the 4th day of October 1971 to be taught the craft of stone masonry by old stone masons of that time in a town named Merthyr Tydfil. During the period from October 1971 to October 1974 Taffy served is apprenticeship, he was taught the craft of how to cut the Blue Pennant stone with only hammer and chisel. After two years in the quarries cutting stone in the banker sheds he then moved on to the installing of the stone. At this point Taffy also learned how to fix and cut natural Welsh roof slate for the roofing of the projects he worked on such as historical Heritage buildings from old churches, castles and Industrial protected buildings. On arrival to New Zealand on 21st September 2000 it became apparent to Taffy that the workmanship with regards to stonework was in general substandard and not being done by qualified stone masons. At this point it was decided to establish Celtic Stonework and soon gained the reputation for quality workmanship from a bona-fide trade certified Stone Mason. With now over “43” years experience Taffy has become a “Master stone mason”. Celtic Stonework is the only company who openly displays proof of Trade certification and a proven record of an apprenticeship. Celtic Stonework will undertake large and small projects, consult with architects, designers, and landscape/interior designers. With his knowledge regarding stone work Taffy will find a way to provide what the client desires. Taffy is passionate about working with Natural Stone because it is a Sustainable building material which allows him to be creative plus add value to a property, it will also mature with time because it does not have a colour loss not like artificial man made fake schist. Slatecrete is a proudly operated family business manufacturing a wide range of concrete products nationwide and to the Pacific Islands. 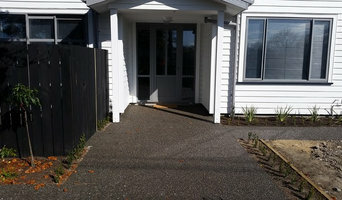 Our company is based at 135 Marua Road, Mt Wellington, Auckland. We have an established manufacturing factory and an extensive showroom to view not only what is available but what’s possible for your landscaping and housing needs. Our products are on show and our showroom is open to the trade, DIYs and the general public. Our Auckland manufacturing plant only use the highest quality raw materials in our concrete manufacturing process. This combined with our rigid quality control is our customer’s assurance that they are using the best product available. Our product range includes concrete pavers, pool surrounds, bullnose paving, coping stones, concrete bench tops and our concrete retaining wall and fencing system. Steve is fully qualified with level 5 Stonemasonry, natural fixtures and fittings and Banker Masonry. Masonry with strand in monumental masonry and fully qualified in Floor and Wall tiling. 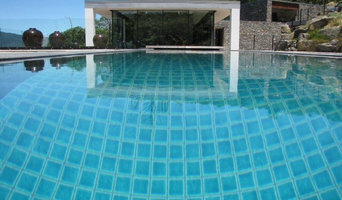 Now, 15 years later, Empire Stone use their expert knowledge and passion to undertake stone work all over New Zealand. As well as stone supply and distribution, and stone design and construction, Empire Stone also provide custom tile installation, certified waterproofing, pizza ovens, landscaping and installation of solid concrete pools. There’s no such thing as an “out-of-the-box” solution for Steve – he sees each job, big or small as a unique opportunity to let stone enhance any property with its rugged beauty and charm. “Stone is a natural wonder”, says Steve, “and I can help make it an outstanding feature of your property.” Empire Stone welcome the opportunity to discuss your requirements in detail and propose a stone solution for you. Call Empire Stone today to discuss all your commercial and residential stone work requirements! A stonemason can add kerb appeal to your home and is usually hired for home projects such as driveways, pathways, pool coping and home facades, but can also build retaining walls and fit stone cladding. In some instances, their work can extend to features inside the home, from fireplace surrounds and mantels to staircases. Here are some related professionals and vendors to complement the work of stone, pavers & concrete: Landscape Architects & Landscape Designers, Architects, Garden & Landscape Supplies, Driveways, Cladding & Exteriors. Find a stone, paver and concrete professional on Houzz. Scroll through this page to find a stonemason, paver or concreter in your area. Just enter your suburb in the top field to narrow your search. You can browse their latest projects, read reviews and see how other homeowners rate their work, and message them directly.